A couple weeks ago we did another post where we talked a bit about Docker. 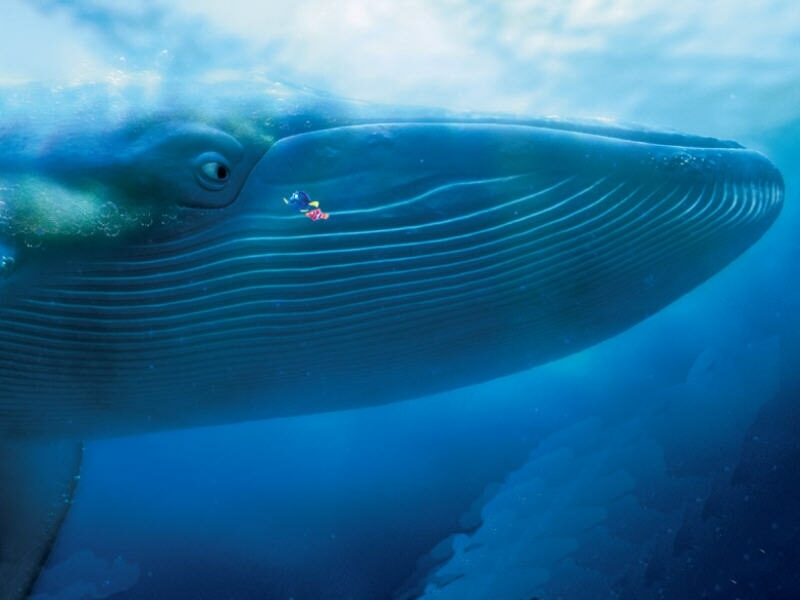 We thought it might be useful for everyone to put together an official image of Docker. For that we are going to base our image in Ubuntu 14.10 which by default comes with Faraday, CoudbDB, and SSH all pre-configured. The username is root and the password toor. 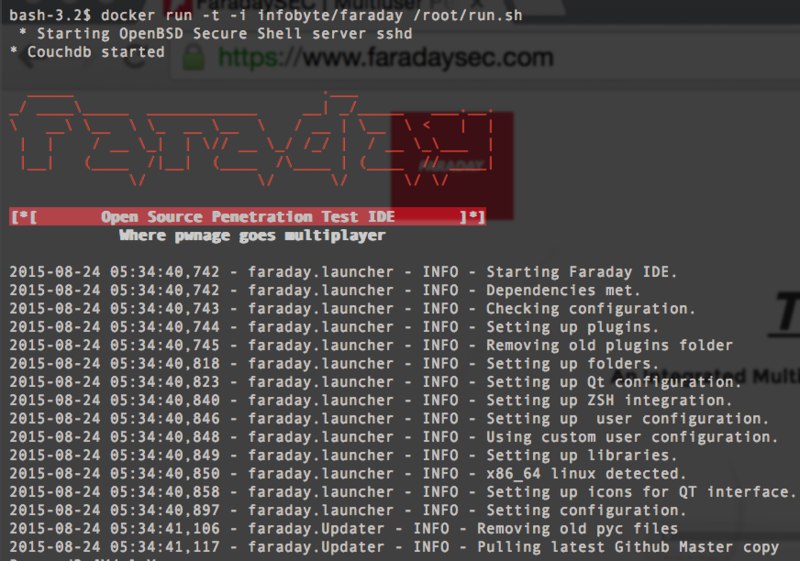 With this command, we start by running the container with Faraday connecting it to couchdb with a test workspace, with the name "workspace". 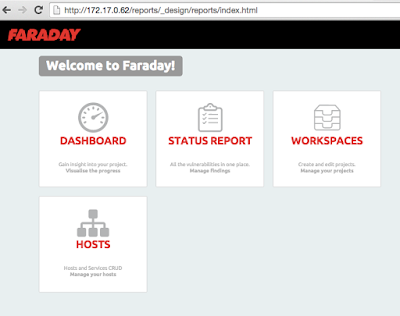 Faraday is started with ./faraday.py -gui=no-gui --update without a graphic environment, it is going to start trying to update Faraday to the newest version in the github repository. 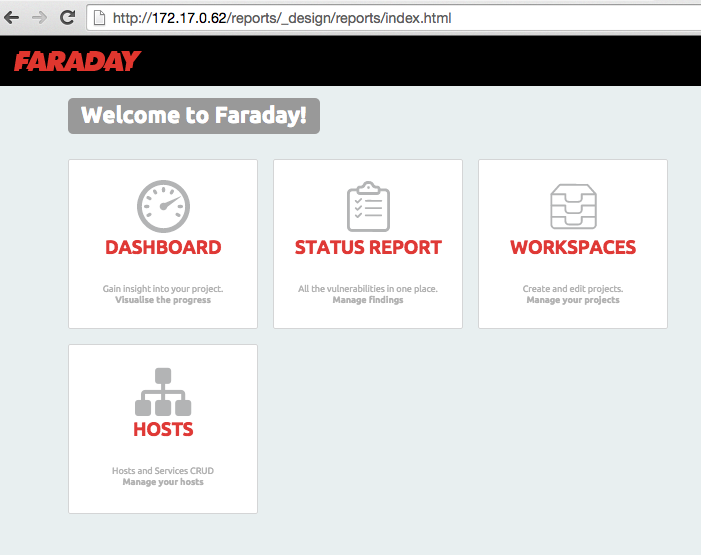 Directing the browser to http://172.17.0.62/reports/_design/reports/index.html you will be able to access Faraday's Web-UI. To start to execute commands, we can utilize the ZSH interface, to do this everyone should connect to the SSH with the username root and the password toor. 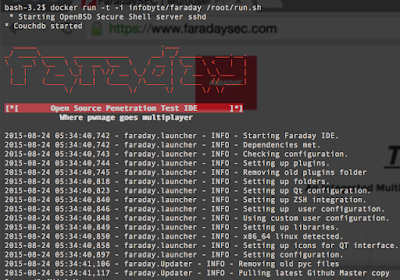 [faraday](workspace) 250f83a02a3a# ping 127.0.0.1 >&1 > /root/.faraday/zsh/output/09cfbbb7-ab8a-44ca-9a64-9128029d8f41.output && python2 /root/.faraday/zsh/plugin_controller_client.py send_output cGluZyAxMjcuMC4wLjE= "/root/.faraday/zsh/output/09cfbbb7-ab8a-44ca-9a64-9128029d8f41.output"
* To execute commands, it is important to keep in mind that the tools should be installed inside of the Docker. Additionally when executing the commands, one way to incorporate information to the Faraday platform is copying the tools' output reports. This we can do by copying the reports to the containers via sftp or we can use a file sharing function between the host server and containers. Now we can start using the tools inside the host server and this is going to be interpreted as if it were inside the container for Faraday in the workspace called "workspace"
We hope you thought this was helpful!